Holy smokes, lots of babies are turning one and in a hurry! It is hard to believe each session of a one-year-old that a year has gone by since we did their newborn photography session. Always makes me sad and happy at the same time. This is one of my favorite babies and I adore her family and always look forward to seeing them again. I have watched her grow in her first year and seems like yesterday she was a tiny little baby girl. 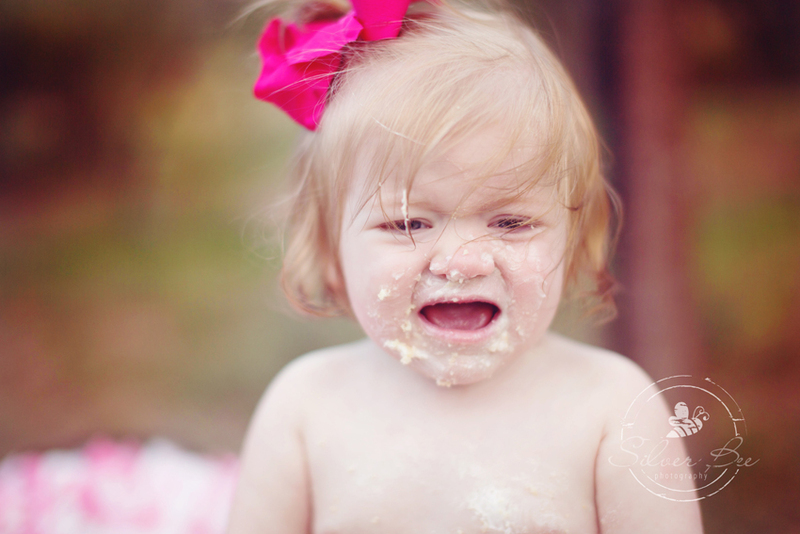 We did our pretty pictures first and then brought on the cake smash!! 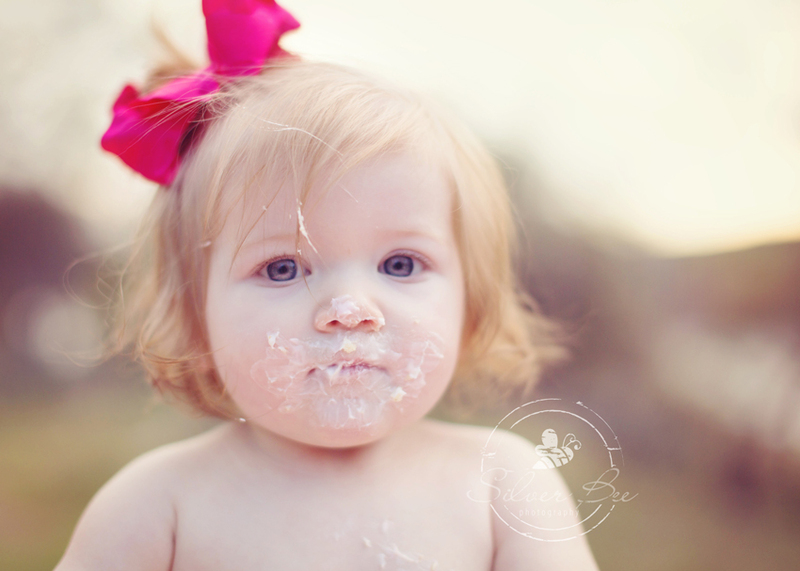 So most one year olds, haven’t had much cake prior to their cake smash session. Normally it takes just a minute or two, they investigate…look at the cake, make faces at the cake, look up at mom and give a “huh?” look. But not this little miss. She didn’t even hesitate for one single second. Here mama says she gets it from her with sweets. She dove right in and there was no slowing her down…not.at.all. 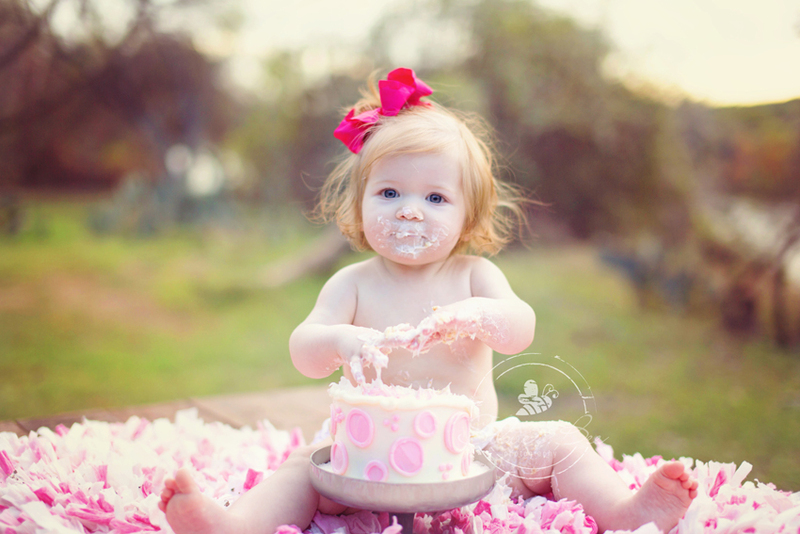 If the cake kept on coming she was a happy baby. I could barely hold my camera steady from laughing at this sight. She was so delighted with this cake and wanted every last bit of it. Let’s just say that if anyone was waiting to get a piece of cake when she was finished, it was gonna happen. 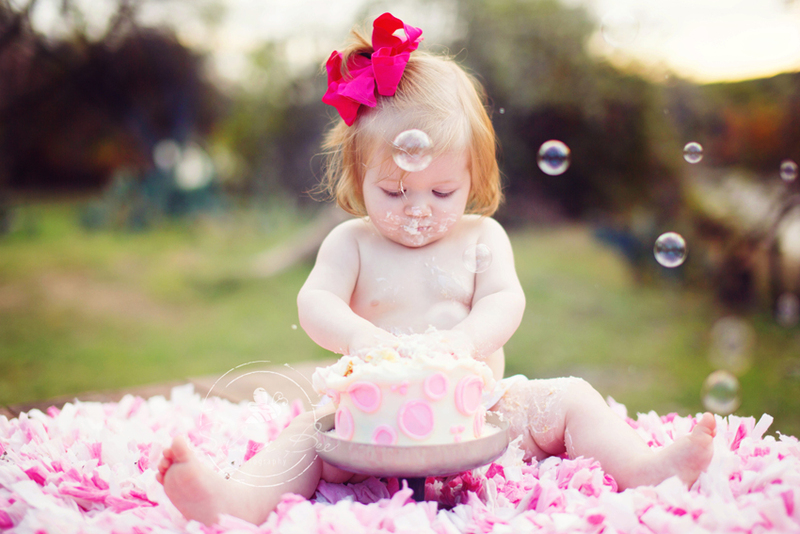 In between the giggles and cake bites we decided we have got to get her to look up so we can get some more face shots….so we thought let’s bring in some bubbles. That will get her attention….nope. Still focused on the cake. But I will have to say that a happy baby makes for some great photos. 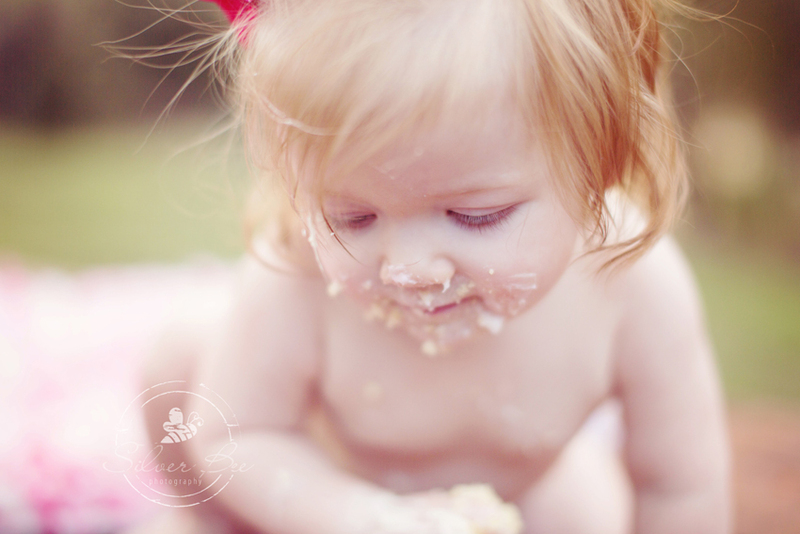 So next comes the moment where we need to take the cake….and I always know how each baby is going to react. And yes, I was right about this little miss. Not happy at all. Oh no, not at all. However, I will admit I love this reaction. And she gave me exactly what I was looking for! No belly aches on my watch, no mam. Happy Birthday little Miss B. Don’t grow up too fast…makes me sad.